Many of the entries below were supplied by J.K. Rowling herself after the series was over through tweets, meets and greets. She revealed these sometimes funny, sometimes tragic nuggets over the decades that she has presided over the Harry Potter fandom, to much delight and suspicion. There have been fan theories, fan arts, and fanfictions written about him, but what do we really know about him? Let’s take a peek into the bonkers life and times of Albus Dumbledore. Back in 1899 (wizards are old, no big deal), Albus met Gellert Grindelwald. They were young, ambitious and frustrated. Dumbledore’s sister Ariana had been attacked by muggle kids and his father was in Azkaban for retaliating. Grindelwald had been sent home to Godric’s Hollow for practicing the dark arts at Durmstrang. The two were immediately drawn together, planning on leaving Godric’s Hollow and stretch their wings. Aberforth confronted Dumbledore about his plans to leave. A vicious three-way duel occurred between them and Ariana tried to stop it. Someone’s Cruciatus Curse ended her life. Till the end, Dumbledore blamed himself for her passing on. As mentioned above, Grindelwald and Dumbledore were drawn together like moths to a flame. They were enigmatic and intelligent, they bonded over their mutual hatred of muggles. Dumbledore was angry with the Muggles who attacked his sister and was hungry for power. Grindelwald could provide that power with his ambition and knowledge of the dark arts. They wrote letters to each other discussing their plans to rule over muggles ‘for their own good’. This is why he feels an affinity for Voldemort - he understands him. He was obsessed with the Tale Of Three Brothers as a child and knew that there must be some truth to the tale. He hunted for the Deathly Hallows in his youth; little did he know what was to come. In 1945, he battled Grindelwald and won, earning himself the Elder Wand. Then he acquired the Invisibility Cloak from James Potter and held onto it until it was time to pass it on to Harry. Then he found Marvolo Gaunt’s ring in the ruins of the Gaunt house. He said he wanted to complete the collection of artifacts and he definitely achieved that. Because of his contributions to the magical community, Dumbledore is considered to be one of the best wizards ever. He has won awards, conquered evil and even bowled, so he quickly gained the notice of the Ministry of Magic. He has been approached by the Ministry of Magic with an offer of being Minister multiple times over the course of his life but turned it all down due to his past beliefs and his weakness for power. That’s humility right there. Now I personally cannot imagine anyone being the Transfiguration professor except McGonagall, but Dumbledore has also held the position. In the 1930s Dumbledore began his career teaching Transfiguration at Hogwarts. Considering his O.W.L. results and magical achievements, this seems a natural step for him to take. He remained in this post until 1966, when he was asked to become Headmaster. I imagine many students were intimidated by him, but how awesome would it be to have him as your teacher? Being the wise and talented wizard he was, Dumbledore was a fountain of knowledge, especially when it came to Transfiguration. Therefore it should not come as a surprise that he gave writing a column a try. He wrote for ‘Transfiguration Today for a number of years, spreading his wisdom and knowledge across the wizarding world. I wonder what kinds of things he discussed in his column? Back in his youth, when Dumbledore lived in Godric’s Hollow with his family, he could be found doing his favorite things; reading, counting his prizes, and writing to ‘the most notable magical names of the day.’ That’s so him - writing to famous folks as a way of escape from his small corner of the world. Is that how he got to work with Nicholas Flamel? I need to get some networking tips from this guy - it’s a shame he’s passed on. 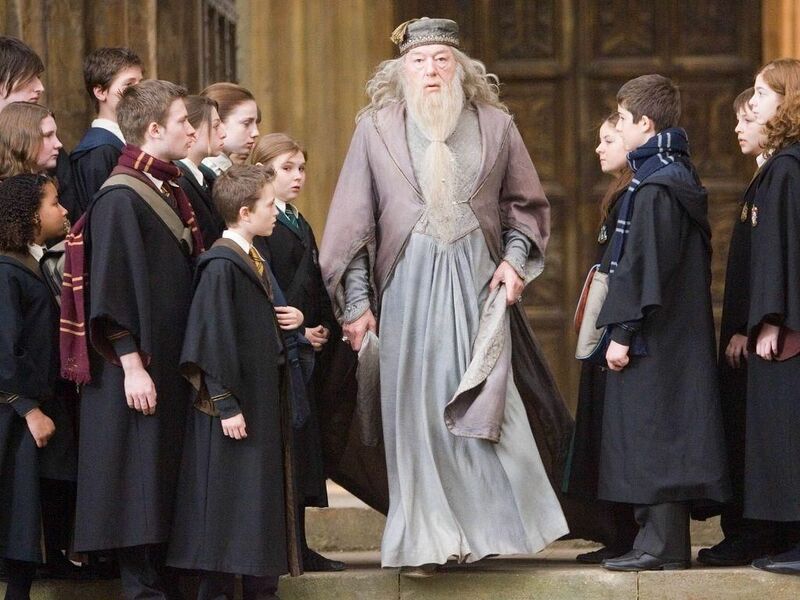 We all remember Dumbledore’s outfits from the movies. They look fancy but also comfy, which is exactly what you want from an outfit. 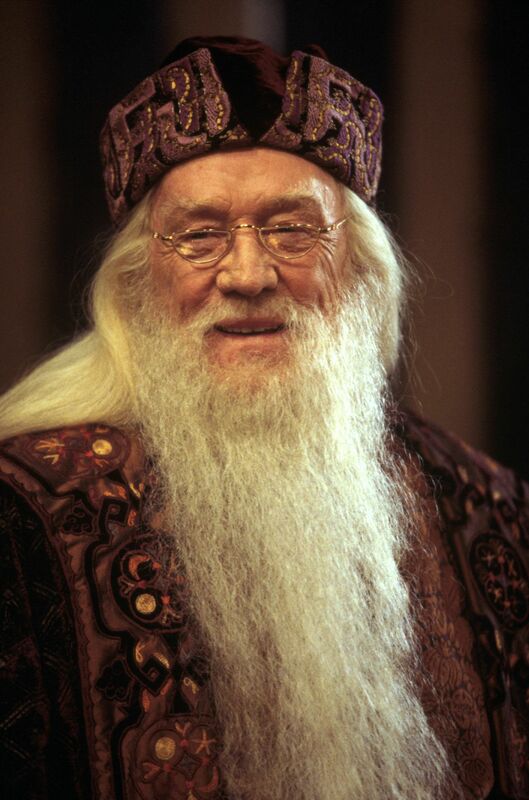 Our man Dumbledore, despite being older than any muggle, knew how to dress. When he went to visit Tom Riddle in the orphanage he wore a plum suit - that’s some 2018 fashion right there. Can we bring this back in style? Would love to see more plum suits around town. Remember how I mentioned he fought Grindelwald for the Elder Wand back in 1945? Well, the battle occurred at the height of Grindelwald’s power when he was trying to actually go through with the whole ruling over muggles plan. Dumbledore realized that he was the only one powerful enough to stop Grindelwald, so he went into battle with his best friend and the man he loved to protect everyone. Dumbledore finally realized what he had to do for the greater good. It is tragic and beautiful at the same time. Dragon’s blood; the elixir that has bothered wizardkind for generations. It was magical and powerful, but wizards had no idea how to utilize its power. Enter Dumbledore: he put his knowledge and powers to the test and discovered how we could use dragon’s blood in everyday life. Now, Rowling has not given us all twelve uses, but it has been revealed that dragon’s blood can be used as a spot remover and as an oven cleaner. In case you don’t know, Nicholas Flamel is the man who discovered the philosopher’s stone and the secret to immortality - there’s no messing around with this guy. While he may have perished in real life, in the world of Harry Potter he’s still kicking. Edward Elric eat your heart out (or just give up a body part). Dumbledore even studied alchemy with him, which is a pretty awesome claim to fame. 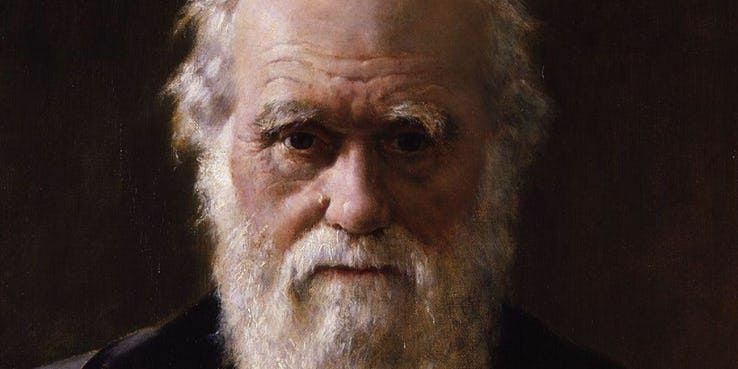 Who else can say they personally know the world’s most famous alchemist? Ever wonder why Hogwarts never had a drama department? So back in the 1930s, Hogwarts staff and students put on a pantomime of ‘Fountain of Fair Fortune.’ Things did not go as planned, however, as there was a duel between two students and an Ashwinder laid a bunch of flaming eggs that set the set ablaze. The director of the play was caught in the crossfire and had to be taken to the infirmary. Dumbledore had helped with the set, so I’m sure he was sad to see his hard work go up in smoke. The Dumbledore family experienced a lot of tragedy when Albus was young. First his sister Ariana was attacked by muggles, his father was put in prison for retaliating. Afterward, his sister was traumatized and she had a hard time controlling her magic when she was emotional. Their mother worked hard to keep her calm and happy but she in an accident during one of Ariana’s magical tantrums. This left Albus, the oldest, as her legal guardian. Being a young brilliant wizard, he was painted by Aberforth as an arrogant youth who thought the task was beneath him. We’ll never know if this was true, but I imagine it can’t have been easy. Dumbledore was a busy man. He was always giving sage advice, writing letters and going on secret missions. But even headmasters have hobbies that they enjoy. It turns out that Dumbledore enjoyed chamber music and going ten-pin bowling. It’s hard to imagine him going out with his pals in the early 20th Century to go bowling - maybe pick up some sherbet lemons and a milkshake on the way. Sounds like a great time, to be honest. Dumbledore, seeing that the Ministry of Magic was failing to successfully defeat Voldemort, founded the Order of the Phoenix in the 1970s. The Order had members such as Lily, James, the Pettigrews and Sirius, amongst many others. When Voldemort rose to power again in the 90s, the Order was revived to continue the fight against He-Who-Must-Not-Be-Named. Harry, Ron, Hermione, and many familiar faces joined the Order during this time. There aren’t any quips to be made here - the Order is too cool for that. When Dumbledore was in the early years of the headmaster, he actually considered removing Divination from the Hogwarts curriculum altogether. He was not fond of it and thought it would not be popular going forward. 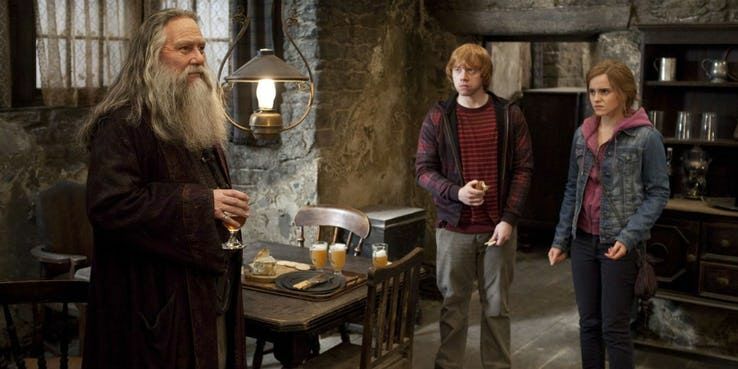 However, when Dumbledore meets Trelawny for her interview in the Hog’s Head, she accurately tells of a prophecy - the one about Harry and Neville. When Dumbledore heard this, he knew he must give her the position to protect her from the death eaters that would surely try to end her. An Order of Merlin is a medal awarded to witches and wizards who have achieved amazing things. There are three classes: first, for outstanding bravery, second for extraordinary endeavors, and third for those who have contributed to knowledge or entertainment. Dumbledore was awarded a first class Order of Merlin for winning his battle with Grindelwald. This was better deserved that the one Cornelius Fudge awarded himself, despite his awful run as Minister for Magic. We all know that Snape was a double spy for Voldemort and Dumbledore. Before he was a spy for Dumbledore, Snape followed him to his interview with Trelawny. There, he overheard the prophecy and rushed to tell Voldemort, who figured out that it concerned a baby born in late July, which only applied to Neville and Harry (of course). Voldemort went after Harry because they were both similar, which put Lily and James in danger. When they met on a hill, Snape begged Dumbledore to save Lily and forgive him for putting the Potters in danger. As we have mentioned earlier, Dumbledore was considered one of the best students Hogwarts has ever seen. When he sat his N.E.W.T.s in Transfiguration and Charms, his examiner revealed that she has never seen anyone perform magic as he did. Dumbledore went on to win a Barnabus Finkley Prize for Exceptional Spellcasting. I mean, the man defeated Grindelwald and does alchemy, pretty sure he deserved to win. Because Dumbledore was so amazing, he was bound to attract attention even as a student. He excelled in classes and was liked as a person by his peers and professors. This led him to become a Prefect in his fifth year at Hogwarts and then head Boy in his seventh year. It is not really surprising, considering everything we know about him at this point in time. Dumbledore really is raking in those official titles and benefits, isn’t he? The Wizengamot is an organization that is a lot older than the Ministry of Magic and currently acts as a court and Parliament - it dates back to medieval times. For context, this is the group that Harry had to testify in front of during his hearing about using magic to fight off Dementors in front of Dudley. Before Dumbledore was their Chief Warlock in the 20th century, he was a British Youth Representative for them while at Hogwarts. Now it just feels like he’s showing off. 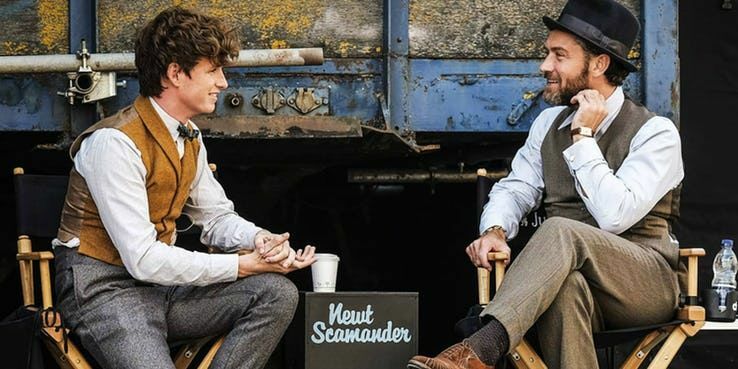 If you turn to the foreword in Fantastic Beasts and Where to Find Them by Newt Scamander, you will find that Dumbledore actually helped Newt write the book. Fantastic Beasts and Where to Find Them is a Hogwarts textbook that details magical creatures of all shapes and sizes and what to do should you encounter them. There is not a wizard who does not have a well-thumbed copy somewhere in his home. It is an excellent book that is being made into a set of movies. Dumbledore blamed himself for his sister’s death on that awful day. He has punished himself for it constantly over the years and it fundamentally changed him as a person. However, it seems that he was not the only person that thought that he was responsible. During Ariana’s funeral, Aberforth marched up to Dumbledore and punched him in the face, breaking his nose. To this day, Aberforth blames Dumbledore for her demise, which is ridiculous considering there were three people involved, but hey. For decades, rumors have circulated that deep underneath Hogwarts lie the cursed vaults. Some believe that they were built by the founders, others by a paranoid headmaster and others say they were there before Hogwarts was even built. The vaults are five rooms with five different curses that house magical artifacts or maybe dark magic. As we know by now, Dumbledore had a love of ancient magical artifacts and hunted for these mysterious cursed vaults himself in the past. In the Gryffindor common room, there is a board which lets students know about events and goings on in Hogwarts. If you peer at this board, you will see a flyer written by Dumbledore himself advertising help with homework in one of the classrooms on Fridays. Anyone who has a sibling knows that, although you love them, they can be a right pain in the behind. They can pick a fight with you or even embarrass you to no end. However, I don’t think any sibling can do anything more embarrassing than Aberforth did. Aberforth was prosecuted for practicing inappropriate magic on a goat. I don’t even want to imagine what kind of acts those were, but I feel bad for Dumbledore having to endure the little whispers and giggles around Godric’s Hollow afterward. Surprise, surprise, Dumbledore won another award, this time in the realm of alchemy. 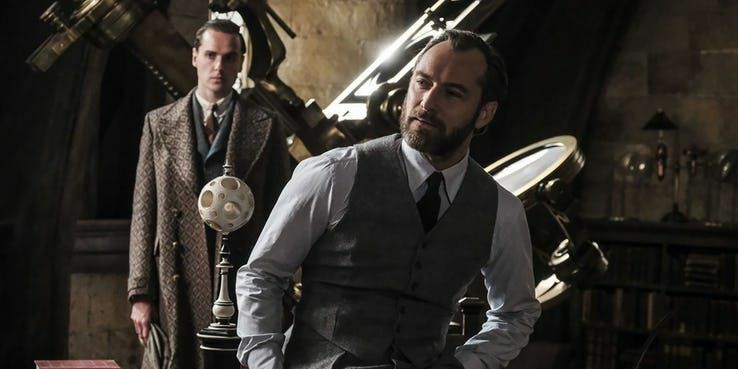 Working with Nicholas Flamel is definitely going to give you a whole lot of knowledge, but Dumbledore took things to the next level with his intellect. 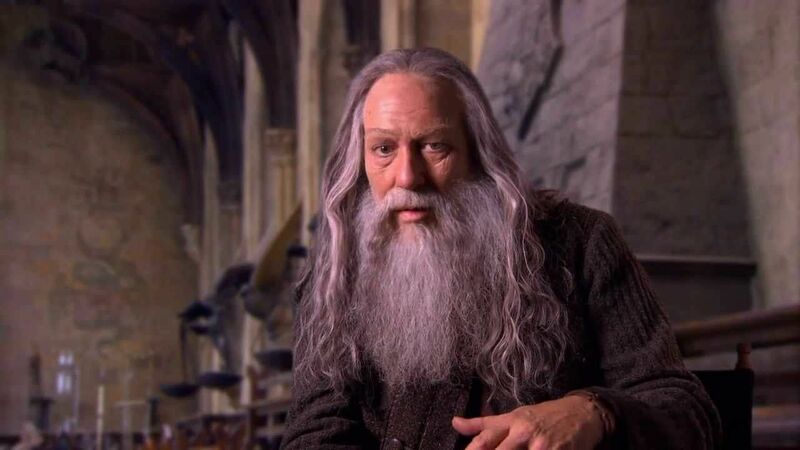 Dumbledore even won a Gold Medal for Ground-Breaking Contribution to the International Alchemical Conference in Cairo while he was still a student at Hogwarts. This guy just keeps on going, doesn’t he? Back in 1943, Hagrid was framed by Tom Riddle, who accused him of opening the Chamber Of Secrets and using his Acromantula, Aragog, to injure Muggle-born students, one of whom was eliminated. The Headmaster at the time, Armando Dippet, thought that Hagrid was guilty, but Dumbledore stepped in and saved Hagrid from being expelled. Dumbledore was also the one to suggest that Hagrid be trained as the gamekeeper of Hogwarts. This is why Hagrid has such respect for and faith in Dumbledore. They say that love is blind and this is definitely the case with Dumbledore’s feelings for Gellert Grindelwald in his youth. 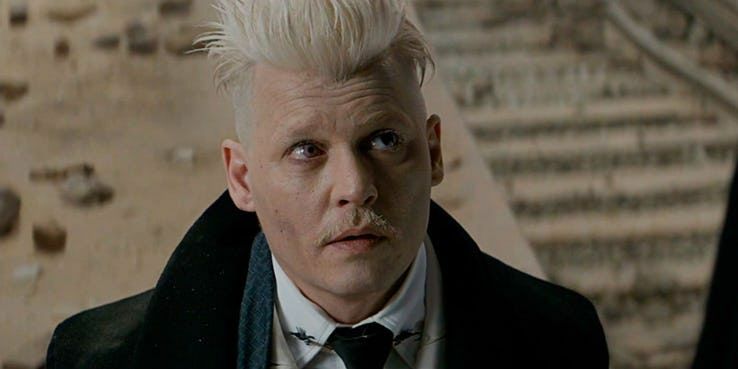 Grindelwald was brilliant, intelligent and mysterious. He was deep into the dark arts and shared Dumbledore’s obsession with the Deathly Hallows. Despite knowing that Grindelwald was violent and wanted to rule over muggles, Dumbledore fell for him anyway. They were kindred spirits and were seduced by their love of power. Dumbledore and Bellatrix are both parallels in that they both loved someone evil but enigmatic and were infinitely let down by that person.